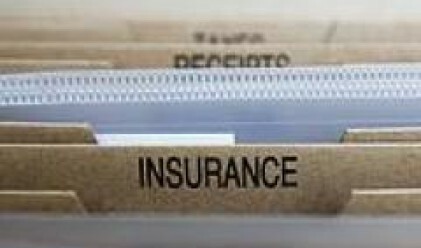 Last year saw important changes in the positions of the top ten insurance companies, Ziarul Financiar reports. Allianz-Tiriac retained the leading position and Omniasig climbed to second place, while Asiban is now the third largest insurer on the market. Allianz-Tiriac also maintained its position last year as the biggest company on the insurance market, with turnover worth 371m euros, up 17% on the previous year. Although the company's gross underwritten premiums registered a growth rate that was half the market average (around 32% in euros) Allianz-Tiriac is still a long way ahead of its second place rival. According to the results posted in the first 9 months of 2007, Omniasig, which ended last year with gross underwritten premiums worth almost 250m euros, climbed to second position. As a result, Omniasig, owned by Austria's Vienna Insurance Group, took over the position occupied in 2006 by another Vienna Insurance company, Asirom (which dropped to fourth position). According to previous estimates made by the company's management, Asirom's gross underwritten premiums amounted to 180 million euros in 2007, a 6% increase against the level reached in the previous year. Asiban, a company about to be sold, advanced from fourth to third position last year, after it posted a 50% increase in turnover, way above the market average, and reached 185.8m euros. Asiban saw its turnover rise fast in the fourth quarter, so that BCR Asigurari, which ranked fourth on the market in the first 9 months of last year, dropped to fifth position at the end of the year, but climbed one position against 2006. BCR Asigurari reported gross underwritten premiums worth 174m euros, up 45%, with the increase being supported, as is the case with many insurers, by comprehensive and auto liability policies. ING Asigurari de Viata, the biggest company on the life insurance market, descended one position to sixth, with premiums worth 149m euros, up 20% on 2006. Last year, Unita, part of Vienna Insurance Group, was the most dynamic top ten player, after it reported an 87% turnover increase in euros to 137.8m euros. Unita ranked seventh on the market at the end of 2007, followed by Generali, with gross underwritten premiums worth almost 120 million euros, according to previous statements made by company officials. Generali kept the same position it held in 2006, while Astra-Uniqa dropped to ninth, with gross underwritten premiums worth 112.1 million euros. BT Asigurari, recently taken over by Groupama French group, remained in tenth position, with turnover worth 82.2 million euros last year, up from around 60m euros in 2006.